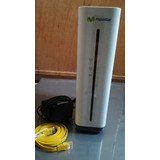 Router Inalambrico 4g Tl-mr6400 Tp-link Oferta! Access Point Repetidor 300mbps Tl-wa801nd Tp-link Oferta! !